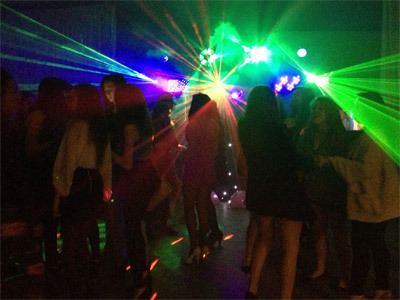 "Cornwall's Leading Mobile DJ And Video Disco"
Here at SoundONE Disco we offer a professional Mobile Disco and Lighting system covering all of Cornwall and catering for all ages and occasions. We are also one of the very few local DJs offering a complete Video Disco service alongside a professional lightshow. Because we have several DJs each experts in their own fields, we are able to meet most demands. It doesn't matter if your event is big or small we will be able to provide appropriate equipment, music and DJs to help ensure your event goes down a storm and you have a great day/night that you can remember forever. It doesn't matter what type of disco it is, whether it's a birthday disco party, wedding disco, engagement disco, anniversary disco, teenager or children's party disco, school disco, pub disco, club disco, hotel disco, holiday park disco, corporate disco or any other celebration or event, we can supply both the appropriate equipment and DJ for your event. So if you want a change of disco, then try SoundONE, with it's leading-edge professional sound and lighting systems and DJs to suit all events. Required by many venues, SoundONE Disco Sound and Lighting has a current PLI policy with Mobile DJ Network in the amount of £10 million. Also required by many venues, SoundONE Disco Sound and Lighting has supplied satisfactory evidence of holding current PAT inspections of their equipment dated within the last 12 months. A Method Statement outlining SoundONE Disco Sound and Lighting&apos;s Health & Safety procedure for setting up disco equipment has been provided. 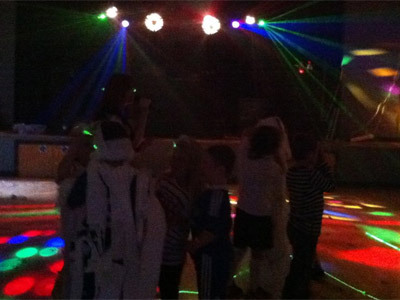 SoundONE Disco Sound and Lighting has provided Risk Assessments undertaken at events sourced via needadisco.com, indicating that they can undertake these competently. Why do people choose to book SoundONE Disco Sound and Lighting? He rang and e mailed promptly and clearly seems to know his business. Out of the large number of responses, these are easily the most professional and experienced DJs of them all. A little more than my original budget, but I am confident they will be worth it. "Made our wedding evening absolutely amazing Thanks Andy and Sam "
"Thank you it was an amazing wedding reception, wishing you a happy future together." "Our dj provided a good service but didn't speak over the microphone very much at all. The sets of music were very muddled, songs from various decades were played back to back rather than in sets as requested. We asked for a party dance set and only 3 songs were played. Each of our guests was asked to choose a song that they wanted playing, which is a great idea. I sent an in depth list of these requests by email. The songs were all played but none were introduced so no one knew whose song was on except us and the person the choose it. 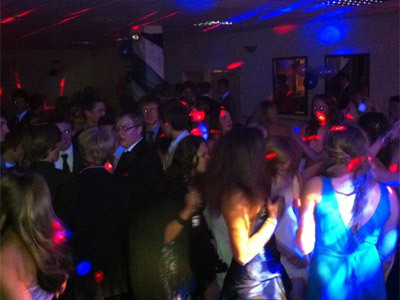 We were under the impression that the songs would be introduced, as a method of enticing more people to the dance floor. Only two of them were introduced. Andy was very polite his lighting was fantastic. But let down by his lack of interaction. His gift at the end of the night was however a lovely gesture. (Framed lyrics of our first dance)." "We actually announced a good dozen songs to entice guests up, however the bride wasn't in the room for best part of the evening so she wouldn't have known this. In all the announcements not a single guest moved from their seats and it started to get a little embarrassing calling out names of who the songs were for with no reaction what-so-ever, we couldn't even work out who the songs were for. It was a very difficult reception because as we were playing sets from her own wish list i.e. 60s, Motown, r&b and even direct requests from guests on the night the bride would shout "NO" part way into the song and ask for something else. Yes we did only play 3 party songs because the few that did dance part way through the 3rd song also sat down. Clearly nothing was going to work. " "Really good communication from the start right up until the day. They were a little bit more expensive than some of the others but they were definitely worth that little bit extra that we paid. They were very friendly and did everything they said they would and more! We would definitely recommend them and we have already booked them for next year." "Thank you for making us feel so welcome, it was such a brilliant party too. And thank you for rebooking us we're really looking forward to doing it again for you next year, for what should be even better." "Cracking evening provided by Andy Tugby and Sam from SoundONE disco for a party arranged to celebrate mine and my wife's 10the wedding anniversary,they even presented us with a framed copy of the lyrics to our special song as a keepsake.Brilliant people to have to celebrate your special day,book them ! You will not be disappointed!!" "Thank you for your kind feedback it is very much appreciated. It was a great party and it was a real honor for us to DJ such a special occasion for you." "Absolutely amazing! Andy and his colleague really made our wedding with the fab disco, everyone loved it. All of our music requests beforehand were accommodated - even obscure ones - and Andy very cleverly plays music in a way to ensure the vibe is never lost. I would use Cornwal Wedding DJ again in a heartbeat and cannot recommend highly enough! The booking was amazing smooth and professional from start to finish and excellent value. Thanks again guys!" "Thank you so much for choosing us over everyone else, it was an awesome wedding reception, we loved every minute of it and it was an absolute honor and pleasure to DJ for you on such an important day." "Our event was a Student Society event so we received a generous deal from the company. The dj's allowed the event to run very smoothly and we received great feedback from people who attended. Will certainly be recommending the company!" "It was our pleasure, we had a great time and that was one heck of a party, making a great start the year. Thank you for choosing us above everyone else." "We would definitely recommend Andy and SoundONE to anyone looking to book a DJ for their wedding. Andy was punctual and had his own assistance to set up his equipment. The sound was great and the video screens were really handy for our speeches for showing embarrassing videos and photos!! Andy suggested asking each of our guests for a song choice before the wedding day which was a great idea and it meant there was a really good range of music. It did mean he couldn;t take many adhoc requests on the night which might have been nice but it didn;t really matter. 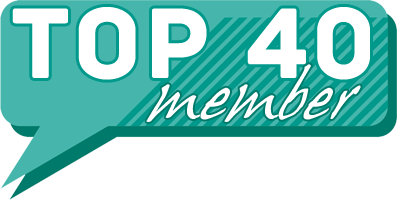 Overall really pleased with Andy and his services and would definitely recommend." 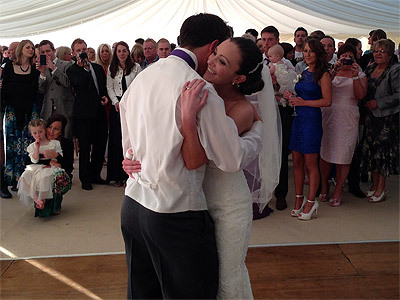 "An amazing wedding reception in a large marquee. At one point almost all the guests were singing Gangsters Paradise to the bride. We not only managed to get a good pre play list of songs that guests would dance to, but we also managed to play every single request ask for on the night too. A brilliant weddiing reception with a very busy dancefloor from start to end. Huge congratulations to the bride and groom, wishing you both a very happy future together." 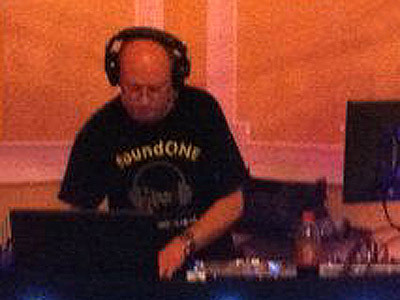 "I booked sound one disco for my husband surprise 40th birthday. but unfortunately while decorating the hall i fell of some step ladder and badly broke my arm. the party went ahead and sound one disco did a video of the party as i wasn;t able to attend as i was in hospital. i am very grateful to them for doing this for me. all the guests said that the music and lighting was fantastic. i would certainly book them again and recommend them to friends and family. 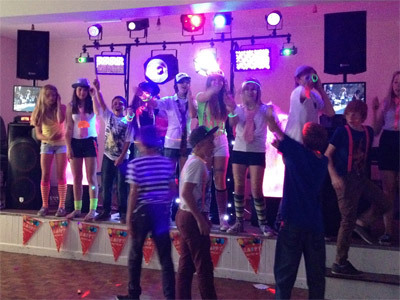 thank you again sound one"
"It was a brilliant 40th birthday with an 80s party theme. The venue looked amazing, so much work had been done to make it feel like a 1980s party and it was such a shame you had to then be taken off to hospital. Wishing you a very speedy recovery.."
"Excellent disco - my daughter and her friends loved it. Will definitely be recommending them. Lovely couple." "It was a brilliant party and a lot of fun, in fact we enjoyed it just as much as everyone else :) Thank you for choosing us over some of the other DJs. It was lovely to meet you all and so much fun to do." "The event was a surprise 50th birthday party and Andy could not have done a better job - it was perfect! The communication prior to the night was excellent. On the night it was a first rate service and made the party a hit!" "Thank you - it was an amazing night. It was good to finally meet you both, not forgetting your sister the party animal ;) and of course your mum who we played a couple of special tracks for. Thank you so much for your hospitality and making us feel so welcome, it was a real pleasure for us. A very happy 50th birthday." 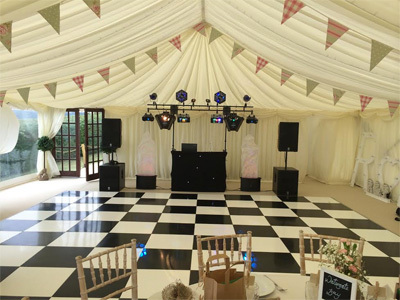 SoundONE Disco Sound and Lighting also offers a range of additional party services not directly linked to musical entertainment. Please note that needadisco.com has no editorial control over these images which are stored on flickr.com. If you have any concerns about what you see below, for example potential copyright infringement or unsuitable content, you should take this up with SoundONE Disco Sound and Lighting directly using the Contact section below, or else you may alert flickr.com directly quoting "set number 72157634195826094".